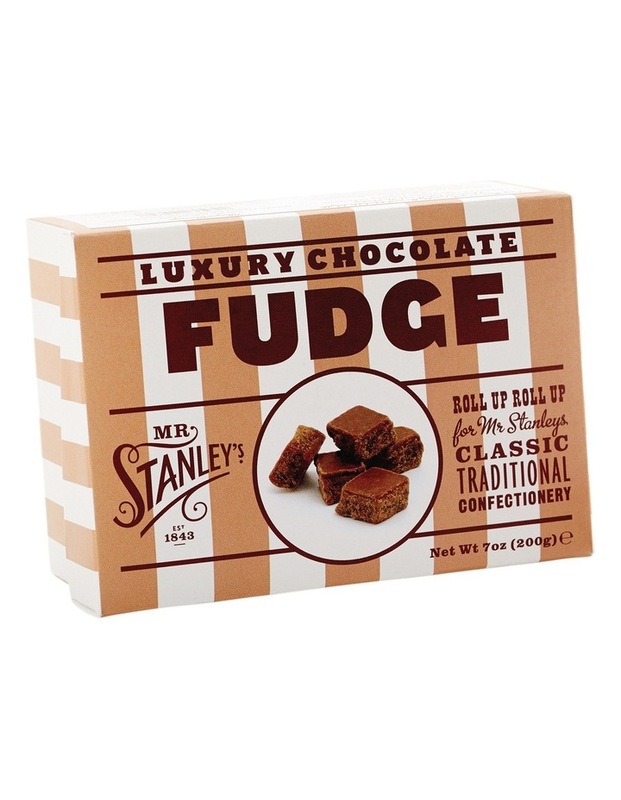 Mr Stanley's Luxury Chocolate Fudge 200g gift box contains pieces of British crumbly and buttery fudge pieces made with Belgian chocolate. 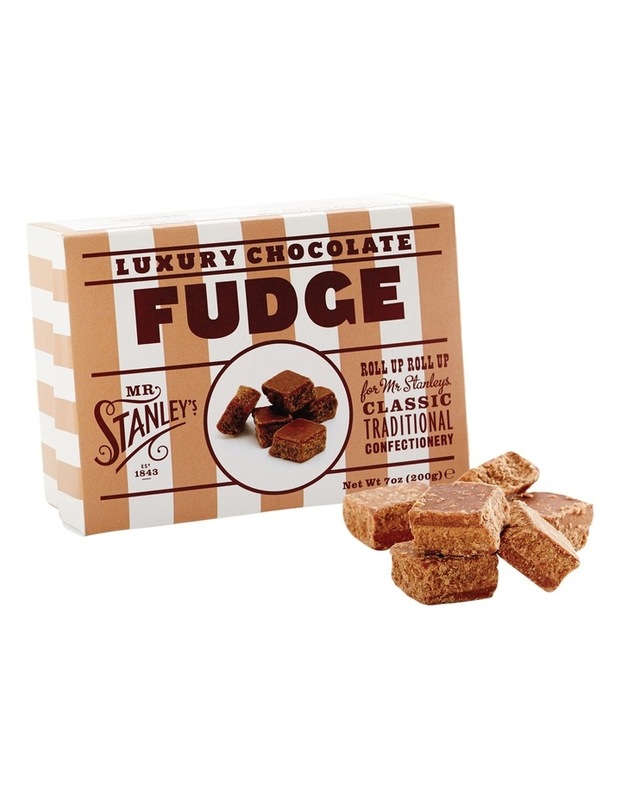 This rich buttery fudge is produced in old fashioned copper pots, cooled and scored by hand. ALLERGY ADVICE: Contains MILK and SOYA. Not Suitable for NUT and PEANUT allergy sufferers. Manufactured in a factory that also handles GLUTEN.